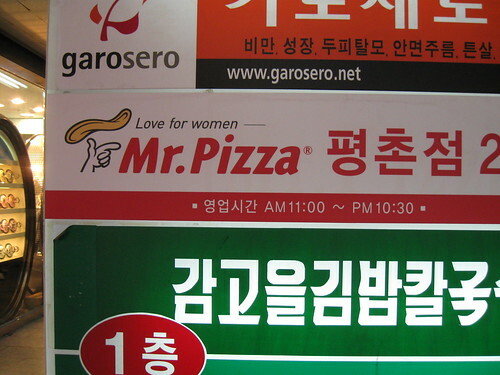 Love for women ——— – Hello Korea ! IMG_1136, originally uploaded by Almost-Human. That’s right, the way to a woman’s heart is through Pizza. There are so many signs such as these, and I really should whip out my camera more!